Spokane City Councilman Mike Fagan will face Randy Ramos in this fall's election. It's official. 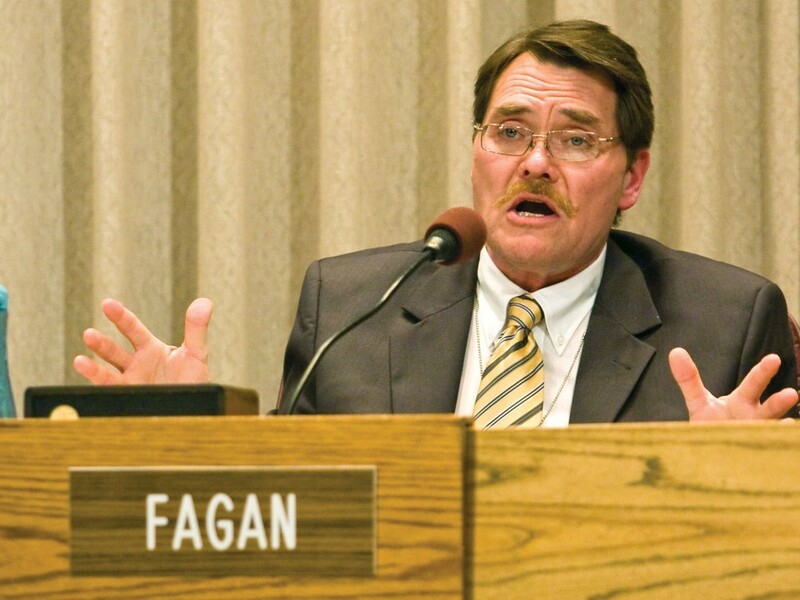 CITY COUNCILMAN MIKE FAGAN WILL FACE RANDY RAMOS in November. An earlier count of votes cast in last week's Aug. 4 primary had left the race for the District 1 city council seat in limbo, with Ben Krauss, a city crime analyst, one vote ahead of Ramos, a recruiter with the Spokane Tribal College. But a later count put Ramos ahead of Krauss by 26 votes. Fagan finished with 49 percent of the 2,931 votes counted. The results are surprising given that Krauss raised no money for his bid and had effectively quit campaigning. Ramos had the endorsements of Spokane County Democrats, Fuse Washington and other left-leaning organizations. His fundraising totals also rivaled those of Fagan, the most conservative and controversial member of Spokane City Council who caused a backlash with his views on vaccines and immigrants. Sometimes, fighting for a losing cause is heroic, even noble. But in the court of law, that gets very expensive very fast. Idaho's LOSS IN THREE MAJOR COURT CASES has cost the state $900,000 in costs and attorney fees, nearly bleeding their Constitutional Defense Fund dry. In one case, Idaho prosecuted a woman for obtaining abortive drugs over the Internet, and she successfully challenged several of Idaho's anti-abortion laws. In one case, four couples sued to overturn Idaho's ban on gay marriage. And in the final case, the ACLU sued over the eviction of Occupy Boise protesters across from the state capitol. Their eviction, it turned out, was unconstitutional. And that doesn't even include the recent case overturning, on First Amendment grounds, a law punishing undercover animal rights activists. "In each of these lawsuits... the attorney general is obligated to defend those laws," says Idaho attorney general's office spokesman Todd Dvorak. In other words, if the laws were indeed unconstitutional, it's the legislature's fault for writing them and the governor's fault for signing them. The state's Constitutional Defense Fund had been set up back in 1995, when the Idaho state government was clashing with the federal government on issues like the reintroduction of wolves. It was a way to fund cases that dealt with "restoring, maintaining and advancing the sovereignty and authority over issues that affect" Idaho and its citizens. The problem is that with recent losses, the Constitutional Defense Fund has now been whittled down to under $300,000. Spokane police officers shot and KILLED A MAN suspected of stealing a car after he fired at officers in north Spokane last weekend. The man, who has not yet been identified pending an autopsy, was suspected of a recent auto theft, police say. Officers spotted him the morning of Aug. 8, and tailed him to 616 E. Sanson Ave. The man fired at officers from inside the home, according to police, shortly before walking out the front door, still firing. Officers returned fire, hitting the man. Paramedics performed CPR until an ambulance took him to a hospital. He later died there of his injuries. The previous person killed by Spokane police was Jeremy Arnold in April of 2014, according to news reports. Arnold drove into a crime scene as officers investigated the death of a woman he was suspected of stabbing. Officers shot and killed Arnold as he got out of his truck with what police said was a gun in his hand. The man killed Aug. 8 was a 20-time convict who had a federal warrant for his arrest, Chief Frank Straub said after the hourlong standoff.